Click on Open to browse the file system, or you can draw a new one in place by clicking on button New. When the imported reaction file contains multiple reaction definitions, select a reaction from the loaded list. You can narrow down the list of reactions by using the search field at the bottom of the list. 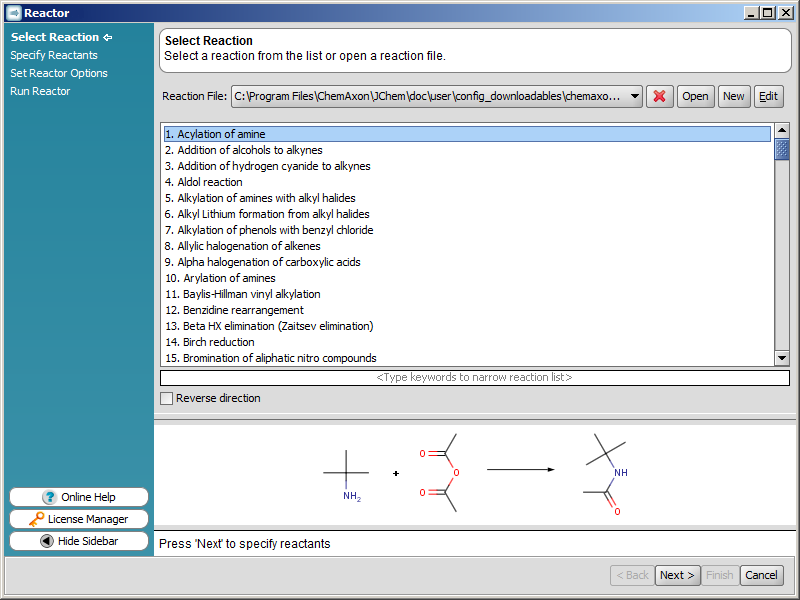 Reactor users can enjoy a library of important synthetic organic reactions predesigned by experts (See the list of available reactions or download the full library). 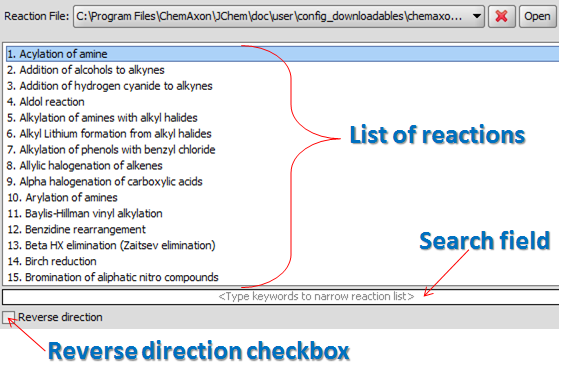 If you want to perform a reversed reaction, check the "Reverse direction" checkbox. In this case, the two sides of the given reaction equation will be swapped: products are taken as reactants and reactants are taken as products.